The United States is in the middle of a gun murder epidemic but our elected officials are apparently unable or unwilling to pass gun law reforms. Every recent fight over increasing gun control regulations on the federal level has failed, even in the aftermath of terrible tragedies like the Sandy Hook massacre. 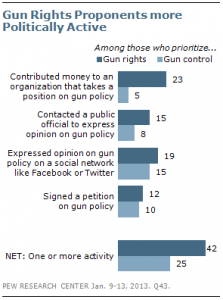 Given the lack of policy movement towards increasing gun control in our democracy, one might assume that the public was simply indifferent to gun murder and not in favor of gun control. 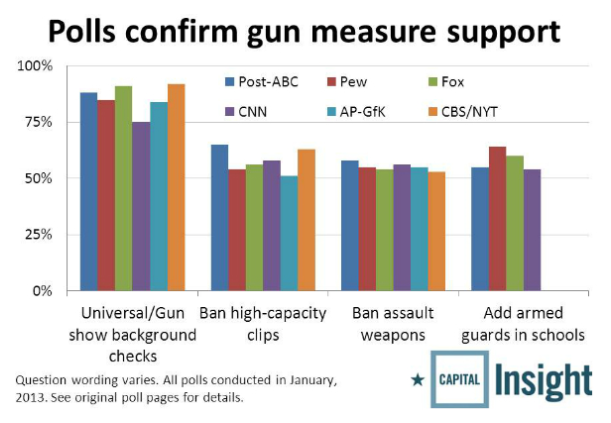 This is simply not the case, as polling has indicated that Americans are actually in favor of reforming gun laws. While the American people as a whole clearly support increased gun control measures, a highly motivated and well-funded minority of gun extremists and gun industry lobbyists has managed to stop all progress. In the face of these overwhelming numbers, what could possibly obstruct increased gun control, both on a state and federal level? Put simply, the gun extremists are more mobilized and better funded than most ideological groups, and have been able to cow many politicians into submission—what they don’t have in popular support, they make up for with extremism, political strategy, and money. Despite representing the views of a tiny minority of the American population, gun extremists exercise a vast amount of power—this power stems from the fact that, in addition to being well-funded, the pro-gun movement is motivated and willing to go to the polls to defend their guns. 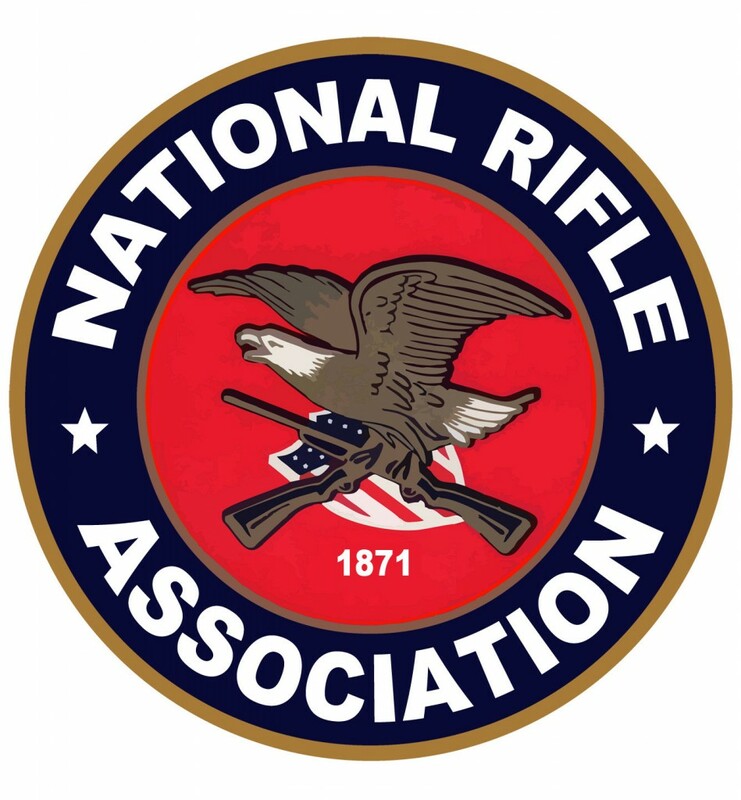 As a group, gun extremists are very motivated and can be mobilized by the NRA’s organizers to act as a cohesive force. Similar to how anti-abortion voters block together, anti-gun control voters often act as a voting block which can affect the course of an election (if only by shifting a few percentage points of the vote). The extreme paranoia which compels some gun extremists to hoard multiple guns translates into a strong desire to show up at the polls and protect against any “encroachment” on their 2nd Amendment rights. This paranoia and motivation is simply directed by the NRA against any politician who dares suggest that American gun laws need to be reformed. The NRA has used their grading system and industry funds in order to facilitate and steer this mobilization of the gun-extremists. Because gun nuts are so motivated and absolute in their thinking (they vote using gun control as a disqualifying issue), politicians in pro-gun areas live in fear of being on the wrong side of an NRA grade. The grade is a scarlet letter that targets them for electoral elimination if they are to face somebody with a higher grade. To amplify their electoral power, the NRA has taken their mobilization efforts to the least populous elections (ex. primaries), where their influence is the most effective. In elections, when the electorate is smaller (off-year elections, primaries, recalls, etc. ), highly motivated ideological minorities are able to make a very real impact. By showing up in masse during an election where turnout is low, these ideologues are able to disproportionately affect the results of political races. By funding primary challenges against moderates and fear mongering gun extremists to the polls, the NRA is able to intimidate incumbents with the threat of hordes of voters who will mono-issue vote them out of office if they dare to support any gun reforms. This threat has been effective, particularly in the south, and the NRA has succeeded in bringing gun control reforms to a virtual stand-still. Last year, two Colorado politicians became the first pro-gun control officials to be ousted by an NRA-funded push. After supporting legislation which would ban large ammo magazines (more than 15 bullets) and ensure that all guns sales in CO would require a background check, state Senators John Morse (D) and Angela Giron (D) were removed from office via recall. These recalls were organized and funded primarily by the NRA, and could be the blueprint for the next wave of anti-gun control intimidation. 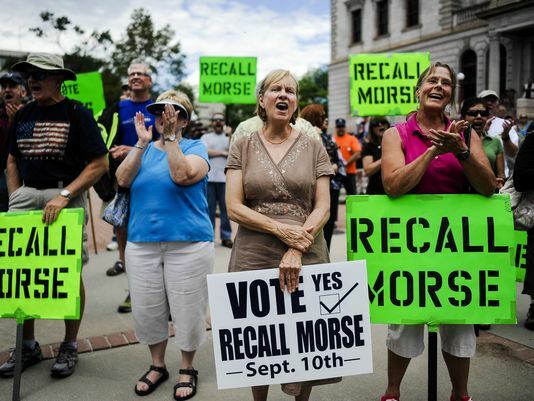 If the NRA sees the targeted recall as an effective tool—with which they can call a special election with a stacked electorate—then we will likely see more such electoral challenges in all states with recall provisions. 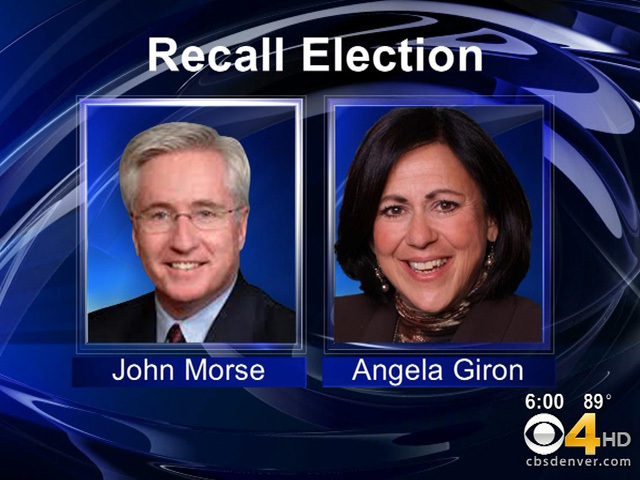 During the Morse and Giron recall elections, political organizations spent approximately $482,000 in support of the recalls—of these funds, approximately $361,000 came from the NRA’s national budget. In short, the NRA provided nearly 75% of the money used to sustain the recall of these pro-gun control senators. The money provided by the NRA to the recall effort is informative as to the source of the recall itself, but is actually largely irrelevant in terms of the winners of the elections—in both cases, the Democratic incumbent outspent the NRA challenger, yet still lost. The NRA’s greatest weapon in this fight was not money, but their voting base; put simply, the gun extremists of the NRA didn’t need expensive advertising to tell them how to vote, as they were already dead-set on voting out the incumbents who dared suggest gun control. As previously discussed, any election with a low turnout can more easily be stacked by an extreme partisan minority. Because the NRA and the gun extremists were motivated to achieve the recall and defeat the senator who would threaten their weapons, they showed up in higher percentages than non-gun extremists and represented a disproportionately high percentage of the voting population. The distortion in the electorate created by this enthusiasm gap allowed the recalls to be successful and for two senators who supported a bill which conforms to the views of the majority of the American people to be taken out of office. The solution to prevent this kind of situation in the future is simple: gun control activists must adopt the extreme motivation of the gun extremists and show up en-masse whenever an election like this comes up. If a senator is willing to risk an NRA recall or primary challenge by proposing gun control, they need to know that the American people who want sane gun laws have their back. These politicians need to be assured that gun control supporters will flood to the polls with the same urgency as the gun extremists, even during special elections, if they are ever to face an electoral challenge stemming from their gun control proposals. Given the statistics, we can conclude that there are simply more Americans who support gun control than who support gun anarchy—the key reason why the gun anarchist win is because they are more motivated and cohesive. If the majority of Americans who support gun control can muster the same urgency as the minority who supports gun anarchy, they will win through sheer force of numbers and sane gun regulations will pass. The next time you hear about an NRA-backed challenge against a pro-gun control candidate, get even more motivated to act and support the person who wants to prevent the next mass shooting tragedy. If you support gun control, you must show it in the polls and make time to vote in even the most inconvenient special elections that you would rather just skip—after all, if you don’t vote, then you will just be letting the hyper-motivated extremists get their way and will give them disproportionate influence in the legislature. On 10-23-13 you said “please keep it up”. So here it is. Sorry about that. I don’t know why this video won’t play. I had previously posted this same video on 09-18-13 in response to the 07-25-13 article, “How Gun Enthusiasts Got 2nd Amendment Tunnel Vision”. It can still be viewed there. Without the Second Amendment, we would not be a democracy. Why don’t we listen now to the words of an individual who is not only a Colorado citizen who I’m sure votes, but also has vast experience dealing with crime and is himself an elected official. It isn’t hard to find one outlier, and this Sheriff is certainly one. Just so you know, that little emphasis on “urban” that the sheriff uses is just another racial dog-whistle. Beyond that, weak gun laws in one area make gun laws in surrounding areas far less effective, which is why local control cannot work. I guess maybe I just interpret it as a democracy since I am on the winning side of this argument. ” legalized corruption, voter suppression and insane politicians?” The United States has always had those since the very beginning when all firearms were still just single shot flintlocks and there was no Second Amendment. No country is spared these realities. I am sure that if you were to investigate some other nations whom you believe to have democracy and no firearms rights, you would find complaints from their citizens about their government similar to yours. It is just more well known when it happens here because we are the world’s most powerful country and are always in the spotlight. When these events occur, it is the duty of all patriots to take action and try to right these wrongs peacefully if possible through proper channels and to be ready when force is needed. I hope you realize how ridiculous you sound, “Despite representing the views of a TINY MINORITY of the American population, gun extremists exercise a VAST amount of power?” I assume that you and I have been watching the same news. The politicians have revealed their weakness. They fear an armed population which therefore prevents tyranny and ensures liberty just as Thomas Jefferson said. Unlike most debates throughout history, this one is unique. If gun advocates win, we ALL win including gun control supporters or at least the ones who aren’t convicted criminals who couldn’t even own guns to begin with. Honest politicians would win since they would no longer be outnumbered by corrupt ones. If gun control extremists win, we ALL lose except for corrupt politicians who want to believe that they are divine and immortal. As we have seen and cannot plausibly deny, the Second Amendment brings them back down to Earth. They do not like the idea that they can be held accountable by their constituents and will do anything to weaken them. It is time to reconsider your views on this matter. There are nearly 300,000,000 gun owners in the United States with more joining daily that are waiting to be your friend. I thought I should let you know how I arrived at the 300,000,000 figure. I went to http://www.gunpolicy.org/firearms/region/united-states. That is an unbiased website. Currently, it states that there are an estimated 270,000,000 to 310,000,000 firearms owned by civilians in the United States. This estimate also includes illicit firearms although I am not sure just how they can estimate the number of illicit ones. It also states that the number of firearms per every 100 people in the US is now 101.5! Of course, I realize that not every person in the US owns a firearm and that this is possible only because many gun owners possess multiple guns. I felt that it would not be impossible that 300,000,000 Americans could be gun owners. ”He whose liberty is won by the rigors of other men is not free – he is merely protected”. Those who are unprepared to stand on their own feet and take reponsablility for themselves – including self defense, are not yet adults, not yet mature enough to own firearms, and not mature enough to vote. Also, you draw no lines between ”gun nuts” and actual criminals, and you should. The numbers certainly do. I have no problem with self defense (I have done a variety of martial arts for years), but the idea that we should arm civilian populations with powerful weapons is ridiculous. 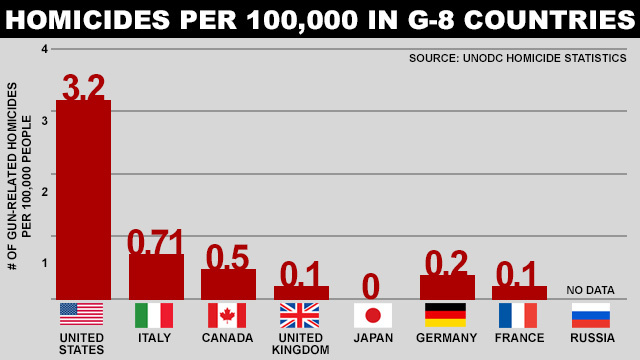 Statistics (on both the state and international levels) demonstrate that high levels of gun ownership lead to high levels of gun violence and suicide. Unfortunately, most of the gun enthusiasts that dream of self-defense are just paranoid cowards who need guns to feel safe, regardless of need. The are quick to draw and overestimate threats to the point where they kill innocent people (case in point: Michael Dunn of Florida). In addition to this, the idea that voting is tied to your opinion on maturity is simply incorrect. Europe (Eastern Europe in particular) has the highest suicide rate for both men and women. Nearly 30% of all suicides occur in India and China. It is true that if guns were not present, then there can be no “gun violence”. However, violence existed before recorded history way before gun powder was discovered. A gun does not need to be present for violence to occur and violent incidents involving a gun are only a small percentage of overall violent incidents. Most of the gun control fanatics are just naïve and inexperienced. In many cases, this is not entirely their fault. Perhaps they were just raised by addled liberal parents. Perhaps they were not fortunate enough to be born in a free country that allows private firearm ownership or has extreme restrictions. They have just been lucky that they have never been in a life or death situation where they may need a firearm to survive and foolishly believe that such things could never happen to them. Please tell me where you found that guns cause suicide.